In some recent posts, I’ve observed that Carvin made a couple of astonishing gaffes in his oral argument. In today’s post, I’ll comment on the worst one. First, I’ll report the exchange without context. I presume that 99.99% of Climate Audit readers will spot the gaffe immediately. Read and react to Carvin’s words before reading my comments below the fold, where I’ll give my take on Carvin’s goof. The first part of Carvin’s rebuttal was spent wiping the egg off his face for an earlier gaffe arising from Carvin’s total misunderstanding of the word “falsification” as it is used in codes of research misconduct, an incident that I’ll return to. In that cringeworthy exchange, the judges’ attention had been drawn to the NSF Inspector General report which listed the four (“synthesized”) issues supposedly addressed by the Penn State Inquiry Committee. Judge: if I may turn to Simberg’s article. There is a quotation from the Inspector General. He [Mann] was criticized for statistical technique, which was the basis for his “unscientific method”, but more importantly, then we have a quote, whether Mann deleted emails as requested by Phil Jones. In other words, some kind of cover up, an instance of a factually ascertainable event. Carvin: That has nothing to do with the Hockey Stick. It has nothing to do with our accusation that the Hockey Stick was fraudulent or intellectually bogus. This was about a related campaign to intimidate people who disagreed with them. There were two things going on. One was the misleading portrayal of earth’s temperature. The other thing was that a group of people at East Anglia started sending out emails attacking their critics. That’s what we’re talking in the second case. I don’t believe that it has anything to do with the allegedly defamatory statements of Mr Simberg. Certainly nothing to do with National Review or Steyn. There are two disputes : one is whether the hockey stick is misleading, the other is whether they ostracize people who disagreed with them. Carvin should have relished the opportunity to talk about the scheme to destroy emails by Jones, Mann and their “collaborators”. How could Carvin get such a central Climategate incident so wrong? The incident is relevant on two fronts: it is substantively important in showing how the IPCC sausage was made; and in conveying to the judges that things are not necessarily as they seem. An alert enough lawyer might even have had a blowup print of the cartoon ready to show the judges, should they ask about the topic. The emails that were involved in the deletion incident did NOT pertain to University of East Anglia academics abusing their critics, though there were plenty of those and Mann was front and center in the abuse. The emails that were the subject of the request were emails from Mann and especially Eugene Wahl to Keith Briffa of CRU, containing text and comments about the IPCC assessment of the Hockey Stick dispute for the Fourth Assessment Report. Significantly, the IPCC weighed in definitively against Mcintyre and McKitrick claims in its Fourth Assessment Report (2007) noting that the impact of any supposed flaws identified by Mcintyre and McKitrick are inconsequential. The documents that Jones, Mann and others wanted to (and succeeded in) destroying were documents in which Eugene Wahl, a close associate of Mann’s and a strong opponent of our criticism, inserted language into the final IPCC document that was much more favorable to Mann than the language in the document sent out to external reviewers. Nor had this change in language been requested by external reviewers. Wahl’s changes to the IPCC language were sent to Keith Briffa of CRU. Briffa had been one of the hide-the-decline exchange with Mann and Jones seven years earlier, and had succeeded Mann as IPCC lead author responsible for the assessment of the Hockey Stick. During the final drafting stage in July 2006 – a stage governed by strict policies, Briffa sought Wahl’s help with his assessment of the Hockey Stick, even though Wahl had not been approved as an IPCC reviewer, let alone contributing author. The correspondence between Briffa and Wahl preserved in the Climategate dossier contains many hallmarks of furtiveness: both parties wanted to ensure that Wahl’s involvement never became public. Wahl and Briffa exchanged texts in which Wahl sent in his re-drafted language. Only the cover letters are preserved in the Climategate dossier; the draft documents containing Wahl’s changes to the report have never been produced. In May 2008, despite their efforts to conceal Wahl’s involvement, because of some telltale language, it was surmised at Climate Audit that there must have been off-balance sheet contact between Briffa and the authors of Wahl and Ammann. (It was initially surmised that the off balance sheet comments must have come from Ammann, rather than Wahl, who had not even been registered with IPCC.) Climate Audit reader David Holland submitted an FOI request to the University of East Anglia for Briffa’s IPCC review correspondence, a request that was broad enough to include the surreptitious Wahl-Briffa correspondence. The incident became one of the major focal points in the early reaction to Climategate in the UK. A representative of the FOI Commissioner stated that it was a prima facie violation of the FOI Act. However, according to the Act, there was a six-month statute of limitations and this had now passed. The UK Parliamentary Committee wanted to know whether there had been a violation aside from the statute limitations and expected an answer to this question from the Muir Russell panel. However, the Muir Russell inquiry never even asked Jones about the destruction of emails. Their report included a fatuously untrue statement that no emails has been destroyed in response to an FOI request even though the Climategate dossier expressly documented the destruction and removal of emails. Fred Pearce of the Guardian, a longtime green reporter, could scarcely believe the audacity of the Muir Russell inaccuracy. The Parliamentary Committee recalled Muir Russell and Oxburgh for an explanation of this and other fiascos. (This second report of the Parliamentary Committee is not in the exhibits of the Mann v NR case.) Muir Russell told the Committee that he didn’t ask Jones about the destruction of emails, because that would have been asking him to confess to a crime. Since Muir Russell was supposed to be investigating misconduct, this was hardly a reassuring or satisfactory answer from the head of the investigation. Vice Chancellor Acton then announced that he had personally carried out the questioning of Jones and others that Muir Russell had failed to carry out and announced to the Committee that nothing had been deleted after all. No harm, no foul. The Parliamentary Committee was underwhelmed that they had nothing more concrete than Acton’s reassurance (which was at odds with the testimony of the emails), but they were worn out by the prevarications and ready to move on. Needless to say, Acton’s assurance to the Committee was completely untrue. Armed with Acton’s reassurance, I sent a new FOI request to the University for the documents showing Wahl’s changes to the IPCC report. The University said that it could not produce them because the documents had been destroyed after all. The Penn State investigation was no better. The terms of reference of the Inquiry Committee had been to investigate whether Mann “directly or indirectly” had participated in the destruction of the emails subject to Jones’ request. The key emails were obviously the Wahl emails. This was not arcane knowledge, but front and center in Climate Audit coverage. However, Penn State did not even bother contacting Wahl. Subsequently, the NOAA OIG interviewed Wahl and obtained confirmation that Wahl had destroyed the documents, but had done so prior to his employment at NOAA, thus removing the incident from their jurisdiction. That Mann had participated in the request that led to Wahl’s destruction of documents was known beyond any dispute, but the Inquiry Committee nonetheless found that there was no evidence that Mann had participated even “indirectly” in the destruction of emails. I’m sure that someone like Frank Quattrone would have liked similar indulgence from the SEC. Given the invitation from the judges to comment on Mann’s participation in Jones’ scheme to destroy evidence of Wahl’s changes to the IPCC assessment, there was lots that Carvin could and should have said. It is hard for me to imagine a worse or stupider answer than saying that it had “nothing to do with the Hockey Stick”. I doubt that even Mann or Williams would have had the cheek to say this. CA readers will recognize that my commentary today is expressed in harsher terms than I’ve ever applied to climate scientists. It’s been difficult to restrain myself to even this amount of contumely. Over the past year, Steyn has been criticized by many climate scientists for his supposed mishandling of legal representation. I don’t think that Steyn needs their advice. In my opinion, one of Steyn’s recent columns demonstrates a very accurate and sophisticated understanding of the relationship between a client and lawyer in a complicated case. He observes here that the client (or at least a client like Steyn) will always know the facts of the case better than the lawyer, but the lawyer knows the law. To do a good job, the client has to figure out how to convey the relevant backstory to the lawyer and the lawyer has to figure out to extract the relevant backstory from the client. Obviously National Review and Carvin didn’t manage this. I cannot imagine what Steyn would have said, if Carvin had done this representing him. The defendants are lucky that there are so many weaknesses in Mann’s case that they can probably survive even a gaffe of these proportions, but there really is no excuse for such incompetence. This entry was written by Stephen McIntyre, posted on Jan 2, 2015 at 7:29 PM, filed under Uncategorized and tagged carvin, national review, steyn. Bookmark the permalink. Follow any comments here with the RSS feed for this post. Both comments and trackbacks are currently closed. Steve – I hope you are able to live your life away from litigation as much as possible. One of the most frustrating parts is hearing any judge or lawyer flub the facts that way…or reading a judge’s findings of facts that are way way away from what the evidence really established. Also, even a misrepresentation of that e-mail still makes an important point in favor of the defense: it shows Mann as a cover-up artist, and as such supports the idea that the defendants would believe him capable of being what Steyn and Simberg said he was, and doing what they said he did. Remember as well – among the Climategate e-mails, the most relevant to this case is the Jones “Hide the Decline.” Simberg’s statement that Mann had been “engaging in data manipulation” links to this ClimateAudit post, which is about that e-mail and the substance behind it. And that, far more than the “delete stuff” message, is directly on-point with the supposedly libelous claims. It doesn’t matter that the message is not by Mann; in the world of “actual malice” you do not need an admission from the Mann himself to believe he did what that post says he did. I do not know whether the person writing the opinion will take the trouble to look up Simberg’s post online and chase the links. It’s possible because Mann did attach the post to his complaint, which arguably makes it “fair game” even for a regular, non-SLAPP motion to dismiss. Steve: I have a post in preparation on the Simberg link from “data manipulation”. Williams misrepresents all of it in his written brief, but botched his oral with a gaffe of his own. As the judges delve deeper into this case, I’m sure that will be the case. Potter, I hadn’t seen that case and find it fascinating. Apparently, above and beyond the Constitutional Sullivan standard, D.C. also recognizes “fair report” and “fair comment” privileges (the second for the media). I don’t think those are useful for this appeal since Mann disputes the truth of the underlying facts. And as you can see on pages 17-20, they still have the Constitutional “actual malice” standard that has no such prerequisite. Notice that that case, in federal court, was filed in 2013 (the case number starts with “13” to indicate this), and the dismissal was granted in June 2013. That’s the kind of speed the SLAPP law is meant to provide. It suggests that the defendants would’ve done better to remove to federal court, and that the law really can work if the judges will just follow it. For a second I read: “One of Gavin’s Caffés”. This judge had cast the net far and wide. What an opportunity was presented and wasted. I will never tire of abusing skeptics who continue to mis-portray climategate as a story about temperature series. The central issue was and remains Chapter 6 of Ar4. The clearest crime was and remains the thwarting of Holland’s FOIA request. You know as much as I would have liked to find more mails about temperature series in the stack, the fact remains. There was one good story in the mails. That story centered on Briffa, Wahl,Jones, Mann, Mcintrye and Holland, chapter 6 Ar4. The other day I was talking to a journalist who is covering stuff in this arena. He is quite well read on the whole affair. And Still he hadnt heard about this most central and most important thread. Despite your scorn Steven Mosher, there are many different things in those emails which carry many different thing to many different people. “To do a good job, the client has to figure out how to convey the relevant backstory to the lawyer and the lawyer has to figure out to extract the relevant backstory from the client”, is the correct line of thought to take once you have calmed down. Looking at things from the perspective of others who are less knowledgeable or less involved is an important skill. Steve: I know many miners and have long understood and paid the respect that is owed to people who work hard for a living. However, a Washington lawyer that’s charging $1000 an hour or whatever is being paid not to make mistakes. Carvin deserves to be reamed out. He owes his client an apology and some money back. yes, some people read a sign that says “slow children at play” and think it’s mean. there is no accounting for all the misreadings. some people saw nothing amiss. so what? So what? I don’t think you are helping Steyn’s case. A specific quote from any CG email that best for you illustrates the focus Carvin claimed in court on “earth’s temperature” would be relevant. Scorn on this is appropriate by now, especially for a lawyer being charged ~£1000 per hour. Seven Mosher’s 10:59 post is at least partly incomprehensible. Certainly Climategate exposed incompetence and dishonesty. It isn’t mean to expect competence and ethical behaviour. Unfortunately, when a high paid lawyer screws up, which happens fantastically often, the “money back” won’t cover a down payment on the damage they do. I’ve paid lots of them and never found one worth their money. The outrageous fees are part of the system in the US, in fact they may be the point of the system. More hubris than a doctor, less brains than an _____. Steve: Steyn has a good recent article on Conrad Black’s poor legal representation in his trial in Chicago. Written on the occasion of the death of Eddie Greenspan, a prominent lawyer here who did a poor job for Black. Yet Phil Jones at the time thought it was about Yamal. Mr. Mosher, I see that you never tire of being abused by skeptics, in fact it seems you thrive on it. This entire affair, climategate included, is about temperature series and the mathematical abuse thereof. Steve: this is way OT to the post, but I’ve repeatedly pointed out that the Climategate emails have nothing to do with temperature data and criticized people who tried to coatrack their disputes about temperature data onto the emails. Please take this issue to a relevant thread or discuss elsewhere. But in truth, I would have expected Steyn to have detected that level of incompetence long before the lawyer in question had a chance to make this sort of gaffe at oral argument, and to have fired the lawyer forthwith. You are exactly, precisely, totally 100% correct. I liken this case to a malpractice lawsuit against a physician. In fact, I know a physician who was sued, and that physician was smart enough to appreciate exactly the truth of your point. This doctor put in countless hours educating the (medically clueless) lawyer about the fine points of the case, including standard treatments and the lawyer was receptive to the input. Together they won the case with ease. As an epilog . . . when the lawyer’s wife was hospitalized sometime later, he called this same physician for advice, even though the lady’s problem was not within the physicians area of expertise. If Mann had sued McIntyre, readers of ClimateAudit would know what backstory the client conveyed to his lawyer and how well documented that story would be. However, the clients in this case are political commentators. They care about their right to express their opinion on political topics. The liberal elite that dominate universities are almost always their enemy, whether they follow traditional scientific ethics or Schneider’s corrupt version. As much as it disappoints Mosher, “Hide the Decline” is effective whether one believes it refers to the instrumental record or the record reconstructed from tree rings. The former is far more straightforward and therefore effective, so why is anyone surprised that this misinformation has survived. Mann’s first concern is his scientific integrity, so his backstory has already been published at RealClimate. Fortunately, the people funding Mann’s lawsuit and Mann himself have a second agenda – suppression of free speech about non-consensus science and investigations that have white-washed malfeasance by the Hockey Team. “Hide the decline” offends every fund manager, accountant, lawyer, stock broker and business man who knows that it would be illegal for him to do it, and, if he got caught withholding adverse data from clients and especially when accompanied by damning emails, he could kiss his professional career goodbye. Reputations are hard to earn and easy to lose. A larger community that has acquiesced in and now honored such conduct will inevitably find its reputation diminished. “Reputations are hard to earn and easy to lose”, science is supposed to be like that too. Not to mention every scientist and engineer. Their work depends on the honesty of their peers, and they don’t have auditors to help them (or the time and resources to audit the work of others. 1) Despite an inadequate historical record, the credit rating agencies assigned AAA ratings to mortgage backed securities and collateralized debt obligations before the financial crisis. They are still in business. This may not be surprising since their function is help Wall Street (the people who pay them) market products to investors (who may be under the illusion that they are the customers of the credit rating agencies). 2) Despite the Enron scandal, businesses still use off-balance sheet entities hide their true financial condition from the market. The accounting profession raised the minimum outside capital from 3% to 10% in such SPEs, but they make lots of money administering the complicated GAAP principles that govern this such entities. 3) Channel stuffing. One-time expenses. “Flash Boys.” Arthur Daniels Midland Co. ABACUS. And what makes it even more pernicious is that these machinations are being funded largely by the taxpayer. Government is enabling these people. “Mann’s first concern is his facade of scientific integrity, . . .” Fixed that for you. This is why there are lawyers that specialize in medical malpractice. The good ones know both medicine and the law. The physician’s lawyer, or opposing counsel? Yeah, Steyn’s got the crucial point about “official use”, not surprisingly. Reading this latest article, Mark Steyn demonstrates once again how clearly he understands the role of the hockey stick in climate science theory and practice. If the hockey stick is truthful and accurate as a scientific research product in demonstrating that there was no worldwide Medievel Warm Period — i.e., recent global warming is truly unprecedented within the last several thousand years — then by every reasonable tenant of traditional scientific thinking, there is a strong circumstantial finger being pointed at rising GHG concentrations as being the most likely probable cause. Criticize the climate models all you want to, pontificate on the true cause of the recent seventeen-year hiatus in global warming. But if the hockey stick is scientifically accurate, then there is every reason to be spending more time and money on improving the climate models; and also to take very seriously the possibility of a substantial long-term rise in global mean temperature — recent hiatus or no recent hiatus. Moreover, if all we had was the hockey stick to rely upon as scientific evidence in making public policy decisions concerning future global warming, and if we merely extrapolated its final upward tick forward into the 21st Century, then there would be strong justification for making very serious attempts at reducing the world’s total carbon emissions. Taking his words at face value, Mark Steyn believes that Mann’s personal version of the hockey stick is a f*raudulent paleoclimate research product, one which has been produced through highly questionable analysis methods. However, the hockey stick is not owned exclusively by Michael Mann alone. 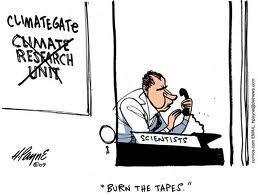 Through its peer review processes and through its various efforts at replicating the hockey stick using purportedly independent confirmation methods, it has been embraced by the larger climate science community as a fundamental element of climate science theory and practice. If Mann’s peers in the climate science community have been using Mannian analysis methods to reach their own purportedly independent conclusions concerning the history of the earth’s temperature over the last several thousand years, then it would seem to be fair game for Mark Steyn to believe that the climate science community’s own replications of the hockey stick are also f*raudulent paleoclimate research products, ones which have been produced through similarly questionable analysis methods. From the perspective of closely examining the plaintiff’s argument that Mann’s paleoclimate research has been independently replicated and confirmed by other climate scientists, let’s ask the following question: can a case be made by Mann’s detractors that the analysis methods used in replicating Mann’s hockey stick are themselves so highly questionable as to go beyond mere ‘bad science’ and into the realm of f*raudlent research activity which involves widespread academic misconduct within the climate science community as a whole? sorry about this because you worked at it, but you’re way offtopic and venturing into more general editorializing than blog policy (an unevenly enforced policy). May we see it elsewhere, Frank? Having been ravished by the zamboni, I can attest to the fine art with which it is conducted. Steve: “Given the invitation from the judges to comment on Mann’s participation in Jones’ scheme to destroy evidence of Wahl’s changes to the IPCC assessment, there was lots that Carvin could and should have said. It is hard for me to imagine a worse or stupider answer than saying that it had “nothing to do with the Hockey Stick”. The judge’s question was not a softball question, but it was a way of testing Carvin’s assertion that no provable facts (in terms of defamation law) had been stated by the defendants when they attacked Mann’s Hockey Stick. Rather, Carvin was arguing that the alleged defamatory statements were opinion, and thus, not actionable under Armstrong and similar other cases. Exactly… the boy done good. The ball may’ve come off his hand, but at least he kept it out of the net. The coming “off his hand” including misrepresenting what the CG emails were about, including the ones Mann may have deleted “as requested by Phil Jones”? JD, I take your point, but but Carvin’s answer remains both untrue and unhelpful to both his client and especially CEI, where misconduct was at issue. Further, as to the destruction of emails, I don’t believe that there are any “facts” presently in dispute – only the judgements made on those facts. If he wanted to make the distinction that you observe, there were ways that could have been done easily. The OIG also independently reviewed Mann’s emails and PSU’s inquiry into whether or not Mann deleted emails as requested by Phil Jones in the “Climategate” emails (aka Allegation 2). The OIG concluded after reviewing the the published CRU emails and the additional information provided by PSU that “nothing in [the emails] evidenced research misconduct within the definition of the NSF Research Misconduct Regulation.” Furthermore, the OIG accepted the conclusions of the PSU inquiry regarding whether Mann deleted emails and agreed with PSU’s conclusion that Mann had not. Again, my emphasis. In other words, the NAS investigation relied on the integrity of the university to provide them with all relevant material, and was thus not truly independent. We now know in hindsight that it could not do so. Beyond that, there are still relevant emails that we haven’t seen, two years later, because the University of Virginia continues to stonewall on a FOIA request, and it’s heading to the Supreme Court of the Commonwealth of Virginia. If I interpret her question to Carvin correctly, she’s suggesting that Simberg was engaging in more than opinion and accusing Mann of something that was “a factually ascertainable event,” i.e. the deletion of emails. I think she is missing the point that Simberg’s accusation was against the investigation of Mann and not so much anything Mann had done. Simberg did not directly accuse Mann of deleting emails or engaging in what she called a “coverup.” He said the investigation into whether he did was flawed and biased. So when Carvin said “That has nothing to do with the Hockey Stick,” he was evading that question, which he proved he was not prepared to answer. So it appears to me that what we have is a comedy of errors. A judge who misinterprets something in Simberg’s column and a lawyer who mis-states the facts in response. Steve: You say: “Simberg’s accusation was against the investigation of Mann and not so much anything Mann had done”. Mann’s argument is that the call for a fresh investigation implies an assertion that he had committed academic misconduct. There are cases that support that characterization of the editorial – but equally there are cases that support Simberg’s right to write such an editorial. Otherwise it would be a tort to call for a federal inquiry into Ferguson or Staten Island or to criticize the grand juries – things that are commonplace. I think that the better argument is to focus on their right to do what they did, rather than to try to split hairs on the implication of a call for a new inquiry. In doing so, I also think that CEI ought to emphasize that “misconduct” does not entail an accusation of “fraud”. Does anyone else join me in longing for the case to be conducted before the judges by Steve McIntyre (plus Mark Steyn as comic sidekick)?? There is no need for the present lawyers when Steve could handle matters so much better. p.s. my brain at first glance read the title as “One of Gavin’s Gaffes” — but RealCLimate seems to have taken itself out of clisci relevance, if it ever mattered…. Steyn’s more recent column has it right — Steyn knows more about the factual background of the case (his own columns and why he wrote them) than any lawyer will. But the lawyer knows more about the law…and the parts of the case that are too boring to make good blog posts, those need the legal touch. It’s one reason good lawyers have to be good listeners…as do clients who want to succeed. Even good lawyers who’ve spent years training for their first day in court make rookie mistakes that day…and this case is way, way too important for rookie mistakes. thanks Joseph W., but I didn’t really mean my comment literally, I do know that the intricacies of the law require proper legal representation (although maybe not from Carvin)….. I was being flippant…. still, Steve Mc should be receiving large retainers as an expert consultant!! Alternatively Carvin realized that he was not going to get a dismissal from the CofA and was trying to at least make it clear that that the next stage should be a rehearing of the the motion in front of the DC Superior Court rather than allowing the case to proceed. Thus the table pounding. For some reason, possibly erroneous, I get the visual of Wahl testifying in open court. Be still my heart. Why should the Court of Appeals remand for a rehearing of the anti-SLAPP motion at this point. Mann had an opportunity to “demonstrate that the claim is likely to succeed on the merits.” §16.5502(b), Wash. D.C. Code (2013). Instead of doing so Mann’s lawyers led the trial judge into the error of accepting mere allegations as a demonstration that Mann’s claim would likely succeed. Since Mann led the trial judge into error, how could it be fair to the defendants that Mann be given a second chance to present evidence he failed to present when he had the chance? More importantly, given the weakness of the plaintiff’s case (as shown by the many cases we’ve cited in these threads), it’s just silly to suppose that the laywers “realize they aren’t going to get a dismissal.” All the appellate court has to do is follow the law, as the trial court failed to do, and the dismissal is right there. And, anyway, misstating what the climategate emails are about has nothing whatsoever to do with hoping for a rehearing. If you want a rehearing, what you do is, you ask for a rehearing. Steyn mentions Steve’s post above among other things climate in his column today. Yup. Missed it. Just woke up here on the West Coast. Officially, officiously, we’ve been lied to. Will the officials, these judges figure this out? Speech yet unheard will be freed if not, and if so. Someone made the comment on a prior thread that attorneys have too many cases and are constantly having to re-educated by the client on the facts. Carvin is the attorney of Record in the King v Burwell with a March sitting before Scotus. The first merits brief in that case was filed December 20th. So maybe his bucket was too full to be able to concentrate on the facts in this case. Quite frankly, most of us frequently get specific facts attributed to different events as note by SM in his frequent corrections. Two minor points in Carvin’s defense is that he is an appeallette lawyer, not a trial lawyer so his expertise is in arguing the law and not arguing the facts and secondly, most of us will make factual mistatements even in our own field of expertise when speaking without realizing the mistake. However, at a billing rate of $800 – $1,000 per hour, there is probably not a good excuse to miss that badly. (My estimate of his billing rate is based on comparable billing rates of appeallette attorneys I deal with). Having read the merits brief in king v Burwell, the merits briefs for NR, I have more confidence in his written legal arguments than his oral arguments. Steve: if this were the only gaffe in his presentations, I would have been inclined to cut him some slack. But he made other gross errors. Even his written brief gets mixed up on the differences between IPCC 2001, WMO 1999 and MBH98-99 and the difference between truncating the Briffa reconstruction and splicing instrumental and proxy data. He makes mistakes that could have been spotted by dozens, if not hundreds of people, who are familiar with this story. If Carvin is representing one side of King v Burwell, based on his performance in Mann v National Review, I’d place big money on the other side. Lets not turn climate audit into a legal blog – though based on discussions of this case, the quality of the legal discourse greatly exceeds most of the legal blogs. I am going to back track on any compliments I may have shown towards Carvin. In neither the NR opening appellate brief or the Reply brief, did Carvin cite Harte Hanks. Harte Hanks is case which distiquishes what has to be done to cross the line to have ‘actual malice” under US libel law. One key to the case is to demonstrate that Steyn/Simberg did not cross that line. (along with the plaintiff’s burden of proof threshold in a SLAPP motion to dismiss). Instead Carvin spend his time pounding the table on 1A issues, when he could have taken the much simpler and easier tact of distiquishing the application of the law to the facts. I’d go with Carvin’s side, given some of the other people on his side, including Jonathan Adler who came up with it. “It’s his blog and he can do what he likes with it.” Oft-stated truism and worth repeating here. But the overlap between what he likes and what’s good for the world we inhabit intrigues. Never exact identity but enough of an overlap to make the journey enthralling. Here’s to a mighty productive post-75 phase. Steve, it honestly is upsetting to me how much this fiasco has pained you… This is not justice. IIRC, your grandfather was a judge and must be ‘rolling over in his grave’ as the saying goes… Looking forward to your future legal posts. Steve: no, my grandfather would think that the whole thing was foolishness, both the original lawsuit and that anyone would waste time being interested in it. OK, so your grandfather would have thought you and all of us following this fiasco are foolish…. Just what I needed to walk away from all this BS! Thanks. Steve: keep in mind that he had a very big career and worked on a large canvas. He was a Chief Justice of Ontario, trial rather than appeal; he liked to do high-profile murder trials. He had enough profile to be invited to the QUeen’s coronation (that was when we got our first television) and my mother and aunt were invited to a garden party with the princesses when they visited England in the 1930s. He also led a very important royal commission on civil rights. He said that he did his best work after 75 – gives me some hope – worked until he was 87 and died at 94 in 1985. He was fairly remote as a grandfather since he was very busy, plus he had 15 grandchildren. My wife and I saw more of him when he was over 90; most of his friends had died so he was looking for bridge partners. He had some stories about his famous cases, I wish I’d slowed down to listen. There is a good biography of him. His father was still in the generation that was clearing farms in Ontario – backbreaking work in the 19th century. Thought constitutional law was hugely over-rated as a topic since there was few cases and tort law underrated because there were so many. If I were trying to justify spending time on it to him, it would be as an interesting exercise in tort law. Sue, as you know, I find the interaction of legal and fact issues to be interesting – otherwise I wouldn’t bother. That part of the case doesn’t “pain” me in the slightest. On the contrary. I’m not sure what the right word is to convey my attitude towards Carvin. I found it difficult to write about his gaffes without a lot of contemptuous editorializing – a tone that I generally try to avoid, but indulged in a little here. Part of it comes from knowing how hard most people in the real non-academic work for a living. Not the top businessmen who do fine, but the miners and mechanics etc So when I see someone like Carvin fail to honor the amount that he was paid by making errors that would have been avoided by properly learning the file, it annoys me. Steve: Good lawyers and good judges have well developed memories. Is this a family trait? Carvin seems to have neither memory nor a razor sharp mind. My wife’s (UK barrister) memory is like a USB flashdrive. Absorb it – read it – dump it – repeat. On a big case she might spend all day battling in court and get home around 6pm. Then starts prepping for the next days evidence. Often this means working through the evening until 2-3am. Then, if lucky, grabs a couple of hours sleep before getting up around 6am to finish off the prep before another gruelling day in court. Typically, this continues for a week or so before the case is stood down for a month or two due to some unexpected development, at which point, she brain dumps the info and immerses herself in the next case. A few dozen cases later, she’s back on the big one and will struggle to remember her clients name without referring to her notes. If she’s lucky, gets paid in 6-12 months but often has to wait longer. Her colleague left the profession to become a plumber – easy life, more money (cash in hand). Pet hates – all those who consider that lawyers are incompetent and overpaid yet remarkably, don’t enter the profession themselves for the easy pickings, despite their (apparently) superior mental prowess. Typically – academics. He did what he had to do – place as much distance between his client and an allegation of a factually ascertainable event, which would prove fatal to his submission. Advocacy isn’t a detached search for objective truth, it’s a partisan search after your client’s truth. For my money, Carvin made the most compelling submission. He had a clear and simple plan, argued it consistently and forcefully, avoided any bear-traps, and responded immediately and confidently to any objections put to him. I ran this story by my high priced legal eagle and he says that JD Ohio and bobdenton know their doo-doo. Mark Steyn wrote that it had a blah feeling to it and they were distancing themselves from him. Well Steyn’s byline has not appeared much there since, but fat chance given Lowry’s response to the original demand letter. MikeN has it right — Carvin’s briefs for NR focus on the “hyperbole” argument…on the idea that what Steyn said wasn’t factual, and is therefore not actionable. That may be one reason the ACLU felt the need to intervene. Because they understood was Steyn does: if the defense wins on “rhetorical hyperbole” grounds, that doesn’t fully vindicate their rights under American law. The headlines will read “COURT SAYS COLUMN THAT ATTACKED MANN NOT FACTUAL,” and others will think they have to keep their language “nonfactual” to avoid suit…at least when their targets are favored by the government. If the defense wins on “malice” grounds…the Steyn/ACLU argument…then we’re back where we should’ve been from the beginning, with the Sullivan/St. Amant/Harte-Hanks/etc. standards. With no exception for politically active scientists whose opinions are fashionable in academia or the executive bureaucracy. If you think it, you can say it. Period. What exactly did Steyn say was factual? I think I’ve read about every column Steyn has written about Mann, and I don’t recall anything accusing Mann of, for instance, the crime of fraud. That’s not enough to make every element of a crime or tort of fraud. But you don’t need a crime or tort to be speaking factually. MJW: What exactly did Steyn say was factual? I think I’ve read about every column Steyn has written about Mann, and I don’t recall anything accusing Mann of, for instance, the crime of fraud. A question for the lawyers: if these words are any indication of Mark Steyn’s true beliefs, is it fair to conclude that Steyn believes not only that Mann’s version of the hockey stick is a f*raudulent research product — i.e., it does not demonstrate what it purports to demonstrate — but also that: (1) Mann’s version of the hockey stick contains specific elements which can be appropriately characterized as being ‘f*raudulent’ in the most pejorative sense of that term; and (2) that Michael Mann has engaged in verifiably f*raudulent activity in producing his version of the hockey stick? But speaking factually is not generally defamatory. What facts does Steyn stand behind that would constituent defamation? What facts alleged by Steyn must Mann disprove by a preponderance of the evidence? Except that Steyn has called fraudulent both Mann’s claim of being a Nobel Prize winner and his claims of being exonerated by multiple investigations. Perhaps that’s the basis for the appellation. Even if that weren’t so, why would tweaking him with that nickname demonstrate that Steyn was using the term “in the most pejorative sense of that term” — which would presumably mean accusing Mann of criminal fraud. Why couldn’t it just mean Mann’s hockey-stick research is misleading and bogus? The term “Doctor Fradpants” is hard to interpret as a serious allegation (against either Mann or his trousers); it sounds a lot more like imaginative hyperbole. Intelligent and well informed people have disagreed with me on this, but that’s how it looks from my angle. “Factual” statements certainly can be defamatory…if I said “Will J. Richardson has AIDS,” that statement is factual in form; it’s just a lie (and a “loathesome disease” lie at that) and therefore defamatory. A trickier question would be something like “Suzy Q is promiscuous.” If everyone agrees that Suzy had relations with 3 boyfriends last year, then that would simply be my interpretation of her behavior (to some people that’s flagrant immorality; to some it’s quite restrained). But if she took the position that she was a virgin, then I think I’d be implying at least one clear fact (namely that she wasn’t a virgin) and defaming her (since “unchastity” is a classic case of defamation per se). Michael Mann is claiming his stick’s as chaste as a nun, crystal clear, true, and non-deceptive, so I figure he gets past “hyperbole”…but never past “malice.” And Steyn, at least, seems to want it that way. CEI actually edited its original post to take out the “Sandusky” reference and NR isn’t carrying Steyn anymore…but Steyn has kept his rhetoric as hot as ever, saying over and over that he meant exactly what he said. If he wins on malice grounds, the message is out: you can still say boldly what you think. Simberg’s specific hyperlink was to a discussion of the trick to hide the decline. That Mann and coauthors deleted the inconvenient portion of the Briffa reconstruction in IPCC 2001 is a “fact”. Their emails leading up to this decision – worrying about “diluting the message” and not “giving fodder to the skeptics” – are easy for lay people to understand. Steyn’s entry point seems to be a little different and go back to the earliest HS issues. Although Moldea was written to set standards in the journalistic area, during oral argument in Mann, it was assumed that if there was on supportable non-defamatory meaning, then defendants won. Don’t know if there are more on point cases dealing with non-journalistic cases, such as Mann’s, but the “non-challenged law” during oral argument was that with one legitimately supportable non-defamatory meaning, a defendant wins irrespective of whether the defamation suit is brought against a media organization. I don’t think that fully represents D.C. law. I think “capable of a defamatory meaning” requires more than the possibility of the jury reasonably viewing a statement it as highly insulting. It requires that the statement implies verifiable facts. We also agree with the trial court that Ms. Thompson’s various characterizations of Mr. Armstrong’s alleged misconduct were opinions not based on verifiable facts. Throughout the two versions of the letter, Ms. Thompson referred to the focus of the TIGTA investigation as “serious integrity violations,” “serious misconduct and other violations,” “gross misconduct and integrity violations,” and “serious issues of misconduct, integrity violations and unethical behavior.” All of these reflected one person’s subjective view of the underlying conduct and were not verifiable as true or false. Each of those allegedly defamatory characterizations of Armstong’s behavior is at least as “capable of a defamatory reading” as was referring to the hockey-stick graph as “fraudulant,” yet all were held to be protected opinions. It’s absurd to suggest the court would have come to a different conclusion had Armstrong asserted that his reputation was pure as the driven snow, so questioning his reputation was akin to questioning a woman’s virginity. Taken on its own, Ms. Thompson’s statement that “the allegations of misconduct and serious integrity violations were proven to be true” might imply a defamatory meaning, and we take Mr. Armstrong’s point that the TIGTA investigation, especially prior to his appeal to the Merit Systems Protection Board, was not a final, proven verdict on his misconduct or integrity violations. In determining whether a communication is capable of a defamatory meaning, however, a court must examine the entire context of a publication. The trial court viewed this statement as one of opinion, and we agree that the characterization of the allegations as “serious integrity violations” was unverifiable and therefore a nonactionable opinion. But the “proven to be true” clause was fact-based and therefore warranted summary judgment only if it was substantially true as a matter of law. Because at the time Ms. Thompson wrote the letters, the criminal investigation into Mr. Armstrong’s misconduct had been completed and referred to the Attorney General’s office, the “gist” or “sting” of the allegation is not so fundamentally different from the truth that it could be capable of a defamatory meaning. The choice of the word “proven” is a minor inaccuracy, but substantially true in the context of the letter. Here we see the difference between a derogatory statement (Armstrong committed serious integrity violations) which is nevertheless unverifiable and therefore not defamatory, and a statement of fact, capable of verification (an investigation determined that Armstrong committed serious integrity violations). The statements about Mann were all in the first category. I should have been more careful in my previous comment, for example, instead of saying “(Armstrong committed serious integrity violations),” I should have said, “(the allegations for which Armstrong was investigated were serious integrity violations).” The main point, though, was correct: to be defamatory, a statement must imply specific facts, susceptible to proof of their truth or falsity. “MikeN has it right — Carvin’s briefs for NR focus on the “hyperbole” argument…on the idea that what Steyn said wasn’t factual, and is therefore not actionable. That does seem to make for a rather confused defense. I presume is that if the defense takes the line that the assertions are not verifiable, they can’t also argue that they are true, as many here (and Steyn?) would wish. Since the plaintiff has the burden of proof, and has to get over all those hurdles to win, the defense does not have to concede any of them in order to argue the others. Whether that is a wise decision is a separate matter — it’s easier to do in front of a judge (on a motion for summary judgment, or directed verdict, or judgment on partial findings) than in front of a jury (where you may find it more prudent to stick with one or two compatible theories). Joseph W is correct. You are allowed to argue that we believe in X. However, if the court believes in Y, we should also win. It is called arguing in the alternative and is a well-established procedure. JD – I meant every word I said, and have a similar opinion about almost all your comments; and if you help people (including me) learn more about this area, so much the better. We believe that the Times has suggested the appropriate standard for evaluating critical reviews: “The proper analysis would make commentary actionable only when the interpretations are unsupportable by reference to the written work.”…This “supportable interpretation” standard provides that a critic’s interpretation must be rationally supportable by reference to the actual text he or she is evaluating, and thus would not immunize situations analogous to that presented in Milkovich, in which a writer launches a personal attack, rather than interpreting a book. Now, Mann at least is going to argue that you can’t support the characterization that starts with an “f” by referring just to his papers, or to the Hockey Stick graph itself. In fact, especially in the black-and-white version, that’s part of what makes the stick f****ulent. And I suspect Steyn and Simberg will concede they didn’t get the notion just from looking at the stick, but from sources such as the “hide the decline” e-mail. Thus, I don’t think the Moldea “supportable interpretation” standard will prevent the case from moving forward…though I hope the “actual malice” standard will. Steve: readers need to be careful to distinguish between the “hide the decline” incident which pertains to Mann’s handling of the Briffa reconstruction and issues with Mann’s stick itself. Simberg’s term “data manipulation” links to a discussion of the WMO 1999 diagram and the splicing of instrumental and proxy data in the smoothed version of the Stick. Steyn had used the word “fraudulent” in connection with Mann’s stick in 2006 because of Mann’s algorithm and other pre-CLimategate issues. It was undisputed that Armstrong was, in fact, under investigation for civil and criminal violations; that is why Armstrong lost at summary judgment. The fact that Thompson “characterized” those violations as “serious,” “gross,” etc. is just a matter of interpretation…and, as you say, an opinion rather than a fact, and not by its nature actionable. But imagine that Armstrong was arguing that he was never “under investigation” at all…that no one had accused him of a thing, and Thompson had made the whole thing up right out of her head. In that case, the language would have been actionable…because you’d be back to a verifiable fact (there was an investigation or there was not). Now, if Mann conceded that his stick didn’t show the world quite the way it was, then I think the “F” word would be an interpretation…”A hard-to-read, potentially misleading graph to me…a f****d to you…it’s all interpretation.” But since Mann, as far as I know, never concedes anything, not even that, I think you’ve got a factual disagreement. Notice too that Armstrong lost at summary judgment because the underlying facts (the investigation) were undisputed and “substantially true.” But Mann will dispute with the last breath in his body that anyone could possibly be misled by his Stick. P.S. – And the very fact that Armstrong’s case made it to summary judgment suggests that kind of language can be actionable (that’s why summary judgment rather than dismissal). It’s just that, under these circumstances, where the solid facts weren’t in dispute, they weren’t. > It is called arguing in the alternative. these are not in contradiction. Steyn may very well believe what he said was factual. He may have meant it as factual. That doesnt make it factual. Joseph W — Supportable interpretation rule. During oral argument, both CEI and NR argued for the rule that if one interpretation was supportable and was not defamatory, the defendants were not liable. None of the judges questioned the rule, and in my quick review of Williams’ argument I don’t believe he challenged it either. The points where it was brought up were tape one min. 27:34, 31:34 (Grossman– CEI) and 38:25 (Carvin — NR) The judges did go back and forth on whether the alleged supportable interpretation was a provable fact or not, but they did not challenge the supportable interpretation rule enunciated by the defendants. Steve: i’ve been working on an analysis of the supportable interpretation argument in respect to “manipulation”. WIlliams’ oral argument on this point was unresponsive. In the written briefs, Williams’ approach is a mixture of obfuscation and misrepresentation. I hope that the judges are used to people dissembling to them. That is one issue ALL judges are very familiar with. No worries on this concern. Except under a few circumstance (such as when there was an informal investigation) Armstrong either was or wasn’t under investigation. That would be a question of fact, not opinion. No reasonable person could claim that the validity of the hockey-stick graph is that sort of black-and-white fact. I’m not sure what legal theory would allow the plaintiff, by refusing to cede an inch, to convert a matter of opinion into an issue of fact. So the lawyer has to explain to the judge that his client doesn’t know what factual means? Steve: I thought that that excuse was reserved for Williams. Not at all. Nick. People differ on the time on these issues. Its a fact. @bobdenton: That’s what I have always been saying; you need to be clear and simple for the judges (and juries) as usually they don’t have any technical knowledge about the subject except from what they know from the MSM or what else they read/hear. The whole discussion here is monday morning quarterback. Once I won a case about a compensation, where my opponent came with 5 ordners of own produced “evidence”, while I came with a 2 page statement made by one of the big 4 accountants. I won the case easily. Yes and no. Carvin’s written brief has some pointless and avoidable factual errors, some of which were repeated in the oral argument. it seemed to me like he was throwing interceptions and pick-sixes. Fortunately for his side, the opposition was making fumbles and turnovers of their own. All in all, quarterback ratings of about 32. So yes, something to talk about on Monday morning. Mann and his lawyers did much the same thing with the EPA report. The difference is that they pretended that it “exonerated” him. Probably the most difficult thing for third parties to understand in this whole story is that the various “investigations” avoided grasping the actual nettles. That has nothing to do with the veracity or otherwise of the Hockey Stick, or our accusation that the Hockey Stick was fraudulent or intellectually bogus. This was about an alleged scheme to destroy records associated with the preparation of the UN IPCC report. There was a group of people at East Anglia who were involved in the section reviewing the Hockey Stick debate and some observers alleged they violated procedures and did not act independently of Mann and his close associates when they wrote their summary. After a Freedom of Information request had been made for the relevant documents and correspondence they sent a request to Mann urging him to delete his copies of the records and to ask a colleague to do the same. The email trail showed that he passed on the request, and the IG ascertained that the colleague in question did destroy emails. The allegation of wrongdoing in this instance is not about scientific or statistical malpractice but about IPCC procedures and email deletion; it is unrelated to the alleged defamatory statements of Mr Simberg. Steve: not exactly your best sound bite. Much of Carvin’s problem arose because he tried to frame the matter as a scientific dispute about tree rings – leaving the judges completely befuddled by why National Review and CEI were asking for re-opening investigations. Carvin tried to cooper this up within his framework of a tree ring validity dispute, but his explication made no sense whatever. If he moved away from tub thumping about the First Amendment, Carvin was a disaster. there were no disputed “facts” about the email destruction. After East Anglia received an FOI request for emails concerning late changes in the IPCC report to an assessment more favorable to Mann, Phil Jones of CRU and Mann coordinated the destruction of emails and other documents concerning these changes. Some of them remain permanently lost. Only the statute of limitations prevented criminal charges in the UK. seem to me at the very least what Carvin should have got across. and incredibly the Penn state investigation cleared him of any involvement despite his admission. That is one reason we doubt the investigations. Mosh, I have some new information on the Penn State and NSF investigations. Both say that they consulted “public documents” that they consulted. I have a list and copies that I’ve mostly drafted a post on. It’s “worse than we thought”. When Richard Lindzen, in his calm, quiet, and direct way, asked the investigators what was going on here, he asked for the world. A cover for the hanger on. Some of us were not aware that Mann admitted to assisting in the deletion of emails. What supports your statement that he admitted to assisting in deleting emails? Steve Mc: Mann admitted to sending Jones’ email request on to Wahl and told Jones that he had done so; Wahl admitted to NOAA that he deleted the emails as Mann had requested. That brings his conduct well within the question that the Penn State Inquiry Committee was asked about and sufficient to prompt investigation of whether this incident was academic misconduct. See Frank Quattrone for a case where an executive was charged with obstruction of justice for simply reminding reminding people about year-end housekeeping, when his subjective purpose was to get them to delete potentially damaging files. I’ve seen some Gavin Schmidt style arguments that Mann’s role in this incident did not constitute academic misconduct. Mann is entitled to defend himself and would do so energetically. What’s wrong with this incident is that the Penn State Inquiry committee shut its eyes to what happened and closed off investigation before it started. 1. Jones asked Mann to forward a request to Wahl to delete mails. 2. Mann responded he would forward the request. 3. Wahl,says he deleted the mail because of the mail Mann forwarded. 4. Mann admits to forwarding the mail. Penn state found that he had no “involvement” as if the mails would have magically deleted themselves but for mann’s involvement. Steve: the timing is important here. Wahl took a job with NOAA a few months later and an essential element in NOAA closing its eyes to this incident is that Wahl’s actions were taken before he joined NOAA. The guilt of a person in a criminal case may be proved without evidence that he personally did every act involved in the commission of the crime charged. The law recognizes that, ordinarily, anything a person can do for himself may also be accomplished through direction of another person as an agent, or by acting together with, or under the direction of, another person or persons in a joint effort. So, if the acts or conduct of an agent, employee or other associate of the person are willfully directed or authorized by the person, or if the person aids and abets another person by willfully joining together with that person in the commission of a crime, then the law holds the person responsible for the conduct of that other person just as though the person had engaged in such conduct himself.x Notice, however, that before any person can be held criminally responsible for the conduct of others it is necessary that the person willfully associate himself in some way with the crime, and willfully participate in it. Mere presence at the scene of a crime and even knowledge that a crime is being committed are not sufficient to establish that a person either directed or aided and abetted the crime. A year and a half was before the Penn State inquiry reported. Forwarding an email to delete ***knowing that it was intruction to delete***, was assisting with the deletion request, obviously. Ya steve the timing is imprtant. resorting to extreme or misleading language. I think you and I both tend to put in too much detail ( since of course details matter to us ) and lose people’s attention, while other people gloss over details and misdirect people’s attention. If I had to write climategate over again I would do it very differently. I’d start with Holland/You/Jones/Briffa/Mann/Wahl and Ar4 ch 6, and wind everything out of that nugget. Your summary of Mann’s role in the deletion of the emails is very good. It is short and to the point, which a busy court would understand. It also provides a good example of what I believe the DC court would consider to be-non actionable opinion. If someone said that Mann took part in the deletion of emails,[Mann would presumably claim he didn’t delete emails by stating he, himself, didn’t physically delete them and that he offered no explicit encouragement that they be deleted] I am fairly confident that under Armstrong, the court would say the description of Mann’s role that I just mentioned would be opinion and not provable fact. If Mann on the other hand, stated that someone saying he took part in the deletion of emails was a lie, Mann probably couldn’t be sued for defamation either because the court would view it as a non-provable fact — a statement that is supportable by 2 different interpretations. S Mosher: “One of the problems with climategate is telling stories CRISPLY without resorting to extreme or misleading language. I agree 100% with your sentiments here. If something can’t be explained in 2 or 3 sentences, it will go over the head of the general public and give the Michael Mann’s of the world a chance to obfuscate. I would also add that, in the interests of clarity, most appeals courts require a short summary of the claims being made on appeal. If I was writing a post on matters that could be factually complicated, such as “Hide the Decline.” I would start out with a 2 or 3 sentence summary of the import of what I was writing and say read the rest for the details. Then I would meticulously (as Steve Mc does), support my summary with the necessary details. An example of how confusion can be straightened out is what I initially thought was a somewhat complicated dispute between Brandon Shollenberger and SKS over whether he “hacked their site” to obtain embarrassing pictures and discussions. I remember he and an SKS person going back and forth on the law of hacking (on I believe Curry’s site) and being confused. Later on, (with Brandon’s assistance) I was able to narrow it down to the fact that Brandon simply guessed unprotected urls that SKS probably would have protected the urls if Cook had thought about it. To me because the URLs were unprotected and because Brandon guessed them means that it is comparatively easy to avoid complicated laws concerning what is hacking and what isn’t. You can discuss those laws but at the beginning and end of the discussion, you would need to point out that all that Brandon did was correctly make guesses about unprotected urls. JD Ohio, the details aren’t really relevant to this post, but I do want to clarify something. I don’t remember the particular discussions you have in mind, but there are two separate times I “hacked” Skeptical Science. The first was when I found the embarrassing pictures in an unprotected directory on their forum’s website. I didn’t “guess” any URLs for it. I just looked to see if the site allowed people to view its /images/ directory (the existence of which was exposed by them displaying one of the images in it). The second time is when I found the data (and some discussion) regarding their “consensus” paper. They had a service which redirected traffic depending upon what number you fed it. The service was like a mail hub, where tons of stuff goes to it and gets directed to the right location. I didn’t really “guess” URLs for it. What I did was recognize you could feed any numbers you wanted into the service and get redirected somewhere. Some of the numbers took me to an unprotected directory where material on their paper was stored. If something can’t be explained in 2 or 3 sentences, it will go over the head of the general public and give the Michael Mann’s of the world a chance to obfuscate. I think people like them and Michael Mann know if they aren’t clear about what they say, they can’t “lose.” Nobody can tell they’re wrong because nobody can tell what they’re actually saying. A competent advocate would not have uttered those words under torture. An opinion as to whether a person committed a crime isn’t a purely scientific opinion. If, whether a person has committed a crime isn’t an allegation of ascertainable fact, we wouldn’t have criminal courts. Carvin submitted that if the words were capable of both interpretations they were entitled to judgment as a matter of law (in which case Anti-SLAPP considerations were irrelevant). One judge told him that when she read the articles, it seemed like they were saying what Mann alleged they were saying. When challenged with an ascertainable allegation of fact by another judge it would not have helped to say, in effect, “Well that’s right. He was involved with others in a conspiracy to doctor the evidence for the hockey stick and a criminal conspiracy to cover up their academic fraud. But, even though that’s what we seemed to your colleague to be saying, that wasn’t what we meant to convey by ‘fraudulent’, that wasn’t what we meant by comparing him to a convicted criminal, we were simply trying to convey that in our opinion his scientific interpretation was misleading, only using caustic epiphets to do so. Bob, have you been trying to get the non-lawyers to understand that if Steyn et al get themselves into the position of appearing to admit they made an ascertainable allegation of fact concerning any crime, they are lost? Maybe lost is not correct. I meant in a much worse position than they would be otherwise. the distinction between misconduct and crime is a very large one. It seems to me that one should be able to call for Penn State to conduct a misconduct investigation with due diligence without that being an actionable statement – this happens all the time with police misconduct. My take on the oral argument is that the judges remained completely baffled by Carvin’s position that it was all just a dispute about whether tree rings were valid proxies. I don’t see how CEI or National Review can provide a coherent explanation of the articles other than in the context of misconduct investigations. But to do that, Carvin had to understand how academic misconduct is defined and, to the disadvantage of his client, he didn’t do so and misunderstood key terms. If the National Review properly defined academic misconduct, I think that the judges would have had an easier job sorting through Williams mantra that every epithet meant: FRAUD, FRAUD, DRAUD..
And if Steyn’s assertion of an ascertainable allegation of fact is correct then what? I believe you are looking at this from the wrong perspective. The defendants have a choice of about 3 basic defenses. 1. Their statements were not made with actual malice. 2. Their statements were opinion and not provable fact. 3. Their statements were fundamentally true. 1 and 2 are the easiest defenses to make and defense no. 3, at least partly, undermines 2. I apologize if I have missed something, but I don’t recall that calling for Penn State to conduct a misconduct investigation with due diligence was alleged as actionable by the plaintiffs. And that seems to clearly be an expression of opinion. Again I apologize, as I am not willing to go back and read again all the pertinent info on this. It just seems to me that it would be wise for the defendants not to get into trying to show how devious or dishonest Mann is, but to stick with the story that they were merely expressing their protected hyperbolic satirical opinions and not making any allegations of fact. Then he should prove it. Right JD, perhaps I should have watered it down even further to say no need to go to number 3. If NR’s submission in CA is successful, it won’t matter so far as they’re concerned, they’ll win as a matter of law. Possibly, even if the CA decides the matter is not subject to interlocutory appeal, because the court is properly seized, and the judges have a continuing constitutional duty. The reason is, that NR is a corporation, it has no mind or body, it must have other peoples intentions, states of mind and behaviour attributed to it. In relation to Steyn’s words I can see no way NR can argue for a meaning different than that which he gives them. If Steyn meant what some people say he meant, then NR couldn’t have made the submissions it made in the CA. But, he wasn’t there, so they had more wriggle room. Possibly it was their only opportunity to make that particular submission without being fettered by his construction of the words. Steve Mc: “the distinction between misconduct and crime is a very large one…. But to do that, Carvin had to understand how academic misconduct is defined and, to the disadvantage of his client, he didn’t do so and misunderstood key terms….. I didn’t think the judges were completely baffled by the actual facts. Rather, in my listening to the tape, it seemed that they were having difficulties deciding at what point, for instance, an accusation of academic misconduct was an opinion and at what point it was a an objectively provable fact. By asking the questions concerning this topic, the judges were trying to get a clearer sense of what was opinion and what was fact in this case and the extent to which the Milkovich and Armstrong cases were applicable. I draw attention to the difference between academic misconduct and fraud not because one accusation is damaging and the other isn’t, but because one is an easier opinion to support than the other. CEI’s position is that their article did not use the word “fraud” and that there was no support for this innuendo. This seems indisputable to me. If the judges were pondering whether these were matters of “fact”, I think that it would have behooved the defendants to show the judges the definitions of academic misconduct. One term of the definition refers to “acceptable” practice within the community. This seems rather elastic as a ground for “objectively verifiable”. The underlying point of defamation law is to financially compensate the defamed person. JD, an undiscussed aspect of the case is that Mann did not sue for “libel” and show special damages, but sued under “libel per se” hoping for punitives, the same tort and tactics of the Southern segregationists used in Alabama. Like the segregationists, Mann cannot show evidence of actual damage. Accusation of a crime may be a required element of the tort of libel per se in modern D.C. The definition and even existence of a separate tort seems to vary by state. Whether libel per se can be claimed in respect to a business or profession according to the classes of Pollard v Lyon (1875), as claimed by the plaintiff, is currently in dispute in an acrimonious DC case. The plaintiff has not produced any recent cases of libel per se in D.C. for anything other than allegations of a crime. Your point above, would have been a perfect point to have been made during oral argument. I understand that and by referring to irrelevant subtleties, I was hoping to avoid the issue and having to research it. My basic point though is that in some circumstances non-criminal defamation can be financially more costly than defamation premised upon false accusations of criminal actions. Also, in many states matters other false criminal defamation are also considered libel per se and academic misconduct, in some circumstances, could possibly fit within the concept of libel per se. JD, another point where the present case is wildly different from Milkovich. As I understand, opinion in Milkovich becomes actionable if it implies knowledge of facts not known to the readers and those facts are false. In the present case, neither Simberg nor Steyn implied that they had inside knowledge of facts. on the contrary, the case had been hugely discussed. This point also seems relevant in trying to understand why it is not considered libelous to comment about Ferguson or Staten Island. Commenters are not implying special knowledge. TI don’t think that this line of argument was made very clear. “The dispositive question in the present case then becomes whether or not a reasonable factfinder could conclude that the statements in the Diadiun column imply an assertion that petitioner Milkovich perjured himself in a judicial proceeding. We think this question must be answered in the affirmative… Nor does the general tenor of the article negate this impression. Bob: OK, I guess I am getting the picture – though it is not coming naturally. I need to think more like a lawyer and focus on winning the legal argument especially in the Appeal part of the process. Took me a long time to chew on this, but my $.02-If your point is “no fact asserted, just opinion”, then your response to a Court question “is this an assertion of fact?”, should come naturally, “Your honor, the complaint (which is the entire record in this procedure) doesn’t accuse any defendant of stating this Plaintiff deleted emails.” I agree that he could not say anything to admit a factual statement by any defendant (per JDOH and bdenton), but I also agree Carvin’s answer is worse than a mere non-response (per Steve). To be good, Carvin had to add to my first sentence, “The only mention of emails is from Mr. Simberg, and looking at the complaint (in a case like this, I don’t think you can say this too many times when your in front of the panel) he reported Mann’s associate scientists asked for emails to be deleted, and emails were deleted, and Mr. Simberg noted plaintiff’s own admission of his involvement but does not say he deleted emails.” You really must take the Court’s question as an opportunity to pick a point in the record that hurts both plaintiff and the grand “exonerations” on which he relies. To add little further detail, I should point out that there were two separate aspects to my requests to the UEA of May 2008, both directly related to the ‘hockey stick’. Steve has explained my efforts to get at the Wahl and Amman back channel to Briffa, which was one aspect. The other is that, on 3 July 2006, AR4 WGI TSU had sent an email to all expert reviewers (but not to government reviewers) in which the deadline for unpublished papers to be cited in AR4 was changed from December 2005 – before the start of the government and expert review stage – to 26 July 2006, long after it. This entirely circumvented the review process. The TSU claimed entirely falsely that “many” expert reviewers had suggested it. The email invited new suggestions of papers that should be cited. This regularised Wahl and Amman 2007. In response Steve suggested that that Wegman and NRC should be cited in support of his criticisms of the ‘hockey stick’. So on 27 May 2008, I asked the UEA for copies of all the responses to the new deadline email. While the UEA came up with all sorts of ingenious reasons for not disclosing the Briffa-Wahl correspondence, it simply denied that it held any responses to the new deadline email, which was untrue. The later Climategate emails show that the AR4 WGI TSU never passed Steve’s response to Briffa, although several batches of other responses were sent. We knew in November 2009, from the original Climategate emails, that a couple of days after my detailed request, Jones asked colleagues to delete all emails “re AR4”. What we did not know until two years later – long after the so-called “reviews” – was that “delete” has a particular meaning in climate science. On 4 June 2008 Jones emailed a former UEA colleague then at the Met office to say that the information that I had requested had been moved from their CRU PCs on a memory stick and taken off site. This is the basis of the UEA’s claim that noting was deleted. Briffa had it all the time. In November 2009 this ‘blocking’ offence was out of time, but among the 2009 Climategate emails was one which precisely identified one batch of responses to the 3 July 2006 emailed invitation for new citations sent by the TSU to Briffa. This batch could have included Steve’s request. On 28 November 2009 I made a new request for this information and on 26 January 2010 it was again refused as “not held”. However, this time it was stated by the UEA FOI team that it had been deleted from the CRU departmental computers. What the FOI team may not know have known then was that Briffa had taken it home and that Russell also probably knew he had. However, and this is speculation, I believe an important person at the UEA organising the Russell Review knew within hours of ‘Climategate’ exactly what had happened but did not tell the FOI team, who in turn did not report my latest request but just refused it as ‘not held’ as that was what everyone thought. It was only when my evidence to the Select Committee was published that Russell realised that a second ‘blocking’ offence had been committed which was not time barred and could be prosecuted. Rather than blow the whistle the Russell team just dragged things out until the second offence was also time barred. Russell told the Select Committee in October 2010 that, on seeing my evidence submission, he realised that he would have to ask questions about the deletion issue “under caution” and decided then not to investigate the offences. I submitted a “perversion of the course of justice” complaint to Norfolk Police but they did not pursue it. Steve: their claim that “nothing was deleted” was a lie. They said that Briffa’s zipfile only had emails without attachments and the attachments were not on the server and could not be located even when they got the server back. I complained about Acton’s deception to the Information Commissioner but it was Parliament who had been misled and their job to pursue it if they wanted. Has Steve has outlined , this bare face lie to Parliament showed both how bad the ‘investigations’ where , in that if was never followed up and how rotten was the behaviour of CRU and ‘the Team’ in all of this. And yet the demand other take their word for it and simply don’t even ask for the data, like any true snake oil salesman . I have a question for our legal experts: nowhere in Mann’s complaint could I find any mention of deletion of emails. Mann apparently did not think defendants had made libelous statements on that subject. Why would the judge bring that up in her question to Carvin if Mann did not include it in his list of libelous statements? Steve: if you actually read my article, you’ll see the seque. Carvin had made an absurd gaffe about falsification – saying that no one had ever accused Mann of falsifying. And thumped and thumped, yelling louder and louder. However, falsifying was the research misconduct name for the issue with the trick, hide the decline, verification r2, robustness etc. Falsifying was the first item on the Penn State and NSF lists. Williams had the judges simply look at the first paragraph of the NSF report, which talked about falsifying. Carvin was left with egg all over his face, shirt and trousers. So he tub-thumped harder – now about cherry picking. I’ll say this for him – he didn’t even pause for breath when made a fool of. It was really annoying that he was incompetent that he made a gross error that Williams – who has systemically misled the court throughout – could stuff Carvin rather than the opposite. Anyway one of the judges noticed the second item on the list and asked Carvin about it, hoping perhaps to give him an opportunity to escape his first gaffe. Carvin then made matters worse. I have always thought that Mann committed academic misconduct when he hid the results he got from his computation that left out the bristlecones. No one would ever have known that if you had not discovered the censored file. It changed everything and neutered the results that he championed to the world; and the world swallowed it. If that is not academic misconduct then I don’t know what is. I agree completely. There are several specific acts of Mann concealing adverse results which could be explored on a cross-examination of Mann, or on direct as an adverse party witness. There is little doubt, in my opinion, that a fair judge would deem that inquiry both material and relevant to whether the adjective “fr*udulent” was appropriately applied to the hockey-stick. I was also under the impression that is academic misconduct to calculate a statistical property (like R2) and to use it when it supports your position but not to mention it when it does not support your position. So by calculating and quoting R2 in relation to the 1815 step where it is positive, and not to mention that the same measure shows no significance in earlier steps, that represents a serious failing requiring withdrawal as a minimum. This may vary depending on the field. “I find it difficult to express with appropriate moderation my disagreement with the proposition of Sedley LJ…..”. There are lawyers who do not screw up like this. They master the facts of complicated cases so that they know more than the client did coming in. I was not a trial lawyer but some of my partners who were trial lawyers did this regularly. They were smart, though not necessarily smarter than other good lawyers. They just made more of a commitment to master the case and worked hard enough to master it. Yes, indeed. Apparently it’s only 99.8% of lawyers that give the rest of ’em a bad name. I am just an interested party with neither the college credentials or the experience to fully understand some of the scientific nuances of much of what is published here. But during the over a decade of casual acquaintance with the facts as presented here, I am certain I could have done a better job of representing the interests of my client than did Carvin in this case. Having been involved in several lawsuits over various matters both pro & con my own interests, I have been shocked at how various aspects of technical or factual issues have been misinterpreted, sometimes intentionally but mostly ignorantly, by supposedly competent lawyers. Bill Buckley (RIP) would not brook such a gaffe. After reading the transcripts of the King v Burwell case before the US Supreme court, Carvin’s chance of being the winning attorney is starting to look remote. This would be consistent with his performance in the NFIB case and with the Mann case performance.